Usually, the homes we feature are in beautiful condition. This one fell apart several hundred years ago – but the magnificent and brooding Sheriff Hutton Castle is no less magnificent for that. Travellers through the Vale of York can’t fail to notice the brooding, jagged ruins of Sheriff Hutton Castle, once one of the grandest in northern England and seat of government for Warwick the Kingmaker, Richard III and Henry VIII. 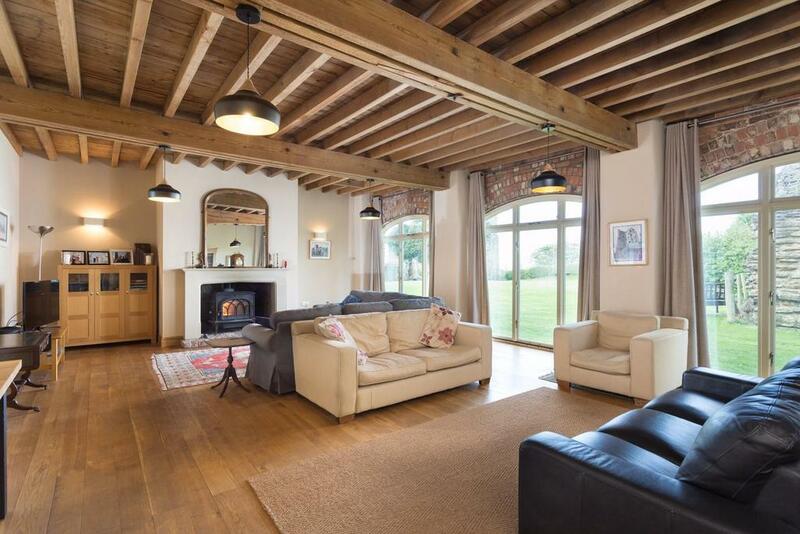 Now 0n the market through Boulton & Cooper Stephensons at a guide price of £1.1 million, this unique historical estate includes the impossibly dramatic ruins of Sheriff Hutton Castle. Thankfuly, for those accustomed to mod cons such as roofs and walls, the sale also includes two very nicely-maintained properties. Originally built by the Neville family, this Plantagenet Castle was granted a licence in 1382. For two hundred years, the castle was extended and modernised, but from the middle of the sixteenth century, Kings Manor in York became the more convenient and preferred seat of the Council of the North. 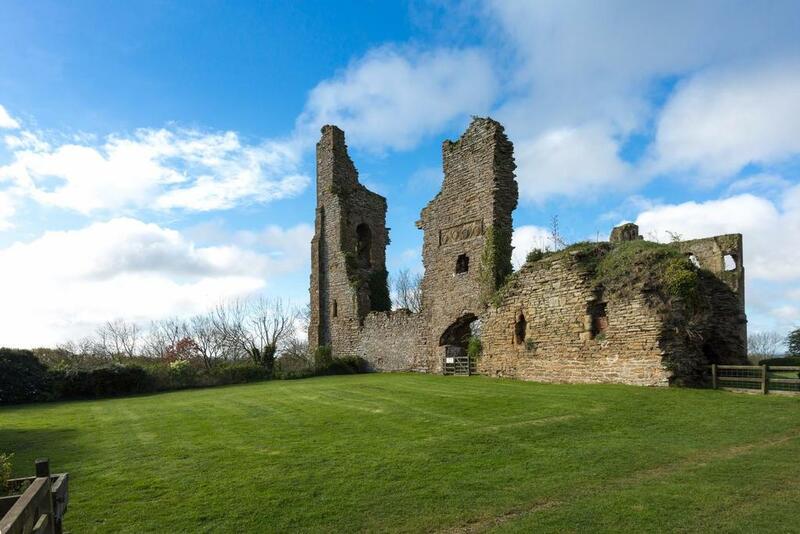 Sheriff Hutton Castle fell into disrepair – and has been in disuse for the past three and half centuries. The stone was plundered to build neighbouring houses including Sheriff Hutton Hall and, by the late 1700s, it was pretty well in its present state. Thankfully, owners of the property since then have taken far more care of their holding, and there are now two lovely buildings on the site. 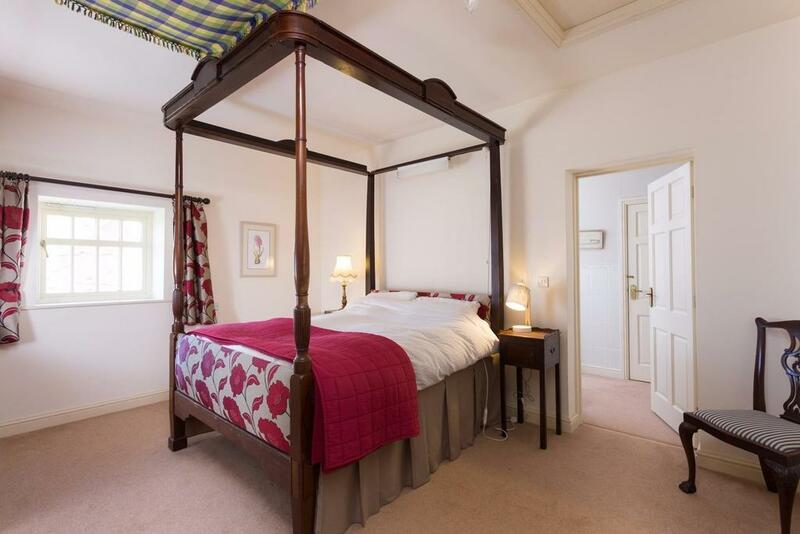 The Warden’s House has three bedrooms, plus an annexe with a further one. Also included is the two-bedroom Court Cottage, which currently with tenants. The family who have kept the site so beautifully have been the custodians for almost eighty years.  In April 1940 the father of one of the present owners acquired Castle Farm through Wilfred Wagstaff, chairman of a West Riding textile company. His daughter and son in law, Elizabeth and John Knight Howarth, inherited in 1952 and the Howarths have lived and farmed ever since, maintaining and preserving this magnificent castle for future generations to enjoy. Now Grade II listed, only Sheriff Hutton Castle’s four corner towers and part of the gatehouse remain. Somehow it only adds to the charm, however: the magnificent and brooding ruins provide a stunning backdrop to Castle Farm. As well as the castle and the buildings, there is also surrounding grassland and pasture which extend to 11½ acres, including a double moat and natural ramparts. 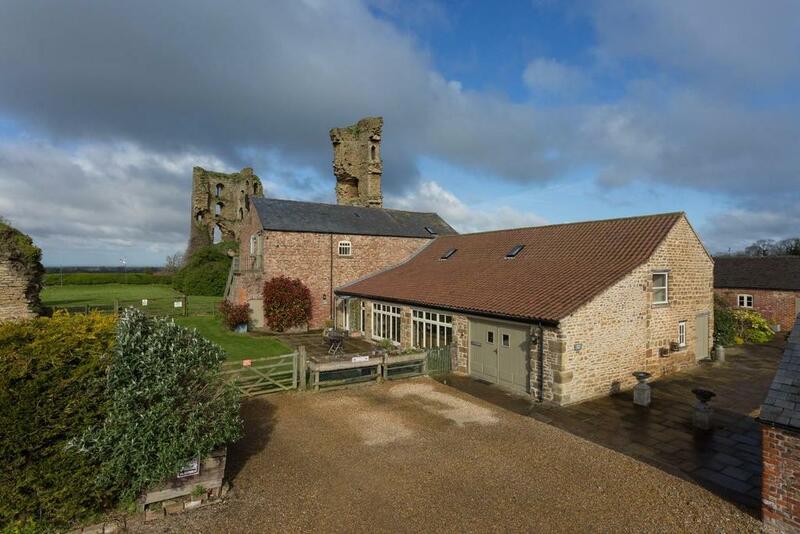 Sherriff Hutton Castle and estate are for sale at £1.1 million – see more pictures and information.